Northwest K9 Bed Bug Detectives is proud to provide people in the greater Seattle area with top-quality bed bug extermination services. Exterminating bed bugs can sometimes be a costly affair, so our technicians are available to speak with you about all of your available options, helping you determine which one is the most effective for both your setting and budget. For all of your Seattle bed bug extermination needs, contact us today! With the end of the school year just right around the corner comes moving out of the dorms. Whether you’re staying in town or relocating elsewhere, you’ll have to vacate the dorms for one reason or another. The dorms are a great way to meet new people and stay on campus, but if you’re not careful, the dorms can be an easy way to get bed bugs. 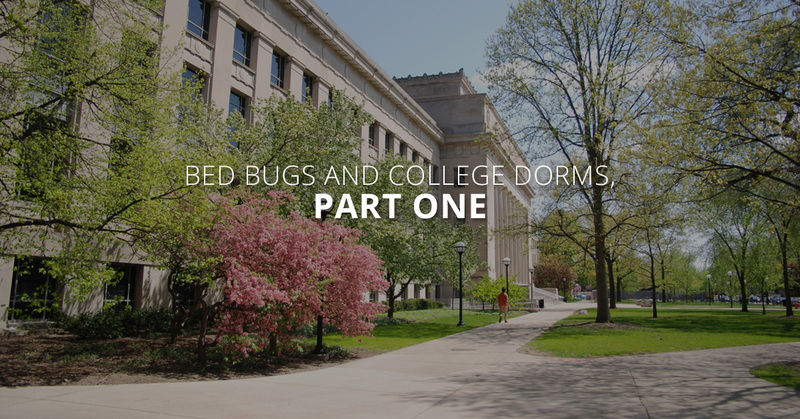 With this in mind, in part one of our blog series, we’ll look at a handful of things that you can do to ensure that you won’t be at risk of bed bugs in the dorms. With relocating to a new locale after your year in the dorms, it’s important for everyone to be on the same page. People can have bed bugs without realizing it, and making sure that everyone in your dorm suite is on the same page is key. Have everyone do an inspection, checking for signs of bed bugs under mattresses, in bags and on the floor. Additionally, having everyone practice the same packing techniques can help cut down on the possibility of bringing unwanted pests into your next place of residence. Whether you’re moving into a new apartment in town or heading back home for the summer, being mindful of the possibility of bedbugs will be absolutely integral. Even if you keep a clean dorm room, infestations can come from other members of your suite and potentially infect your otherwise-clean dorm room. With this in mind, being smart with your packing will ensure that you won’t bring any traveling bed bugs with you to your new apartment or back home. Inspect the bags that you used to transport your clothing, making sure that they are free of bed bugs. Additionally, packing all clothes in sealed plastic bags will ensure that no bed bugs can get in via outside sources, nor will they be able to go with you from one place to another. Those are just a few helpful tips for bed bug prevention for those of you who are preparing to exit the dorms next month. We want nothing more than for you to live in a dorm that’s clean and bed bug-free, but in the instance that you may be living in a space with bed bugs, Northwest K9 Bed Bug Detectives is here to help. Employing a variety of different methods, we will offer you the best bed bug prevention in Seattle. Our experienced technicians will be able to walk you through all of your options, helping you best determine which one works best for your budget. We will continue this in part two of our blog series, but until then, for all of your Seattle Bed Bug Extermination needs, contact Northwest K9 Bed Bug Detectives today!